Sebastian Gorka, former deputy assistant to President Donald Trump and counterterrorism adviser, is delivering a series of lectures for The Heritage Foundation about national security issues. His next speech will take place at Heritage on Dec. 15. Gorka spoke to Daily Signal editor-in-chief Rob Bluey about a range of topics—his time in the White House, Trump’s accomplishments and disappointments, his biggest fears, and Trump’s ability to outmaneuver the media. The following is an edited transcript of their interview along the with the video. Rob Bluey: You’ve given a series of speeches to Heritage audiences now in three locations. What’s your message to them? What are you talking to them about? Gorka: There’s one initial message I like to give everywhere, and it’s a very simple one that I give it to all conservative audiences. And it’s, “Relax, it’s OK.” Count to 10, take a deep breath, don’t worry. Why do I say that? Because of the reactions I saw when my old boss Steve Bannon resigned. A lot of people were very worried about what happens to the so-called Trump agenda. And then when I resigned a week later, then even more people were worried about what’s going to happen to the platform that got this man elected on Nov. 8. So I try to tell them a very simple messages: It’s not about where I sit or Steve sits and it’s not even about President Trump. It’s about what you voted for on Nov. 8 and making sure that it’s the long game. So be calm, it’s OK. It’s about eight years of President Trump and then eight years of President Pence. That’s my first message. And then, of course, we talk about concrete national security issues. Bluey: And why do you have that confidence? Because there are those skeptics out there who worry that with a departure of you and with the departure of Bannon and others that there might be other forces at play in the White House. What makes you so confident about President Trump? Gorka: Two things: No. 1, we’ve never had a politician like—well, he’s not a politician—we’ve never had a president like this in the modern age. In fact, it bears remembering that this is the first-ever president in U.S. history who’s never had prior political position and/or never served as a general in our armed forces. So this is a very different kind of commander in chief and president. And he’s acted … the analogy I like to give is he’s like an ice breaker. The political waters froze over. The left had won the debate, whether it was on social issues, on education, on fiscal responsibility, and along comes this man who just ignores the original politically correct agenda and just breaks through the ice like an ice breaker. And now we have a very exciting moment to fill out behind him what it means to be part of the conservative movement at the beginning of the 21st century. So No. 1, he is a unique character in American politics. And then secondly, it is about a movement. It really is about returning to the first principles that made America so incredibly successful in the ’80s and that’s why I’m excited and everybody should be excited. Bluey: As you look back over the past year, from the time he was elected in November 2016 to today, what is the greatest accomplishment in your mind that he’s been able to achieve? Gorka: It’s a hard choice. I was on Lou Dobbs’ show and talking about all the foreign policy accomplishments, whether it’s the revitalization of NATO, the crushing of ISIS, the renewal of our relationships in Asia, the calling out of the Middle East to do more about radical jihadism. It’s an amazing list just in the first nine months. And then you look at the domestic scene, and it’s hard to choose. Look at two quarters of 3 percent GDP growth, 1.5 million jobs created, the lowest unemployment in 17 years. So it’s hard to choose. But for me, because I was involved in it, I was given the final draft of the travel moratorium to give my opinion on before we went public with it. I think the most important act of the president was the successful implementation of the travel moratorium to keep Americans safe from the kinds of attacks we see almost every day in Europe. Bluey: Is there a disappointment that comes to mind? Something that you wish had gone better? Gorka: Yeah, there is a disappointment, and it has to do with how unusual this victory was. Because for me, Donald Trump was only accidentally the GOP candidate. He really had very little to do with the GOP establishment, especially the RINO establishment. He was an anti-establishment candidate, both with regard to the left and the right. And as such, it was a very small group of people that came into the White House who were truly part of the Trump agenda who came there because they believed in Nov. 8 and what it stood for. And as a result, I call it the most leveraged hostile takeover in modern political history. And as such, our personnel policy was a problem. There were very few people who were really Trumpian in mentality to fill key slots, and that’s one of the reasons I resigned to better serve the president from the outside. I think the biggest flaw to date is lack of requisite attention to the key adage in Washington: personnel is policy. Bluey: You worked on counterterrorism issues for the president. What’s your biggest fear today? Gorka: I have to say, my time at the White House opened my eyes and changed my perspective. I went in there because of my work on Sunni jihadism, specifically Al-Qaeda and ISIS. And once I arrived and once I had the requisite clearances to see the materials that most people don’t get to see, my viewpoint changed. My prior concern, groups like Al-Qaeda and ISIS I now see as simply the 5-meter target, as the military would say. It’s the approximate close target but it will be dealt with. And with people like Secretary Mattis, we are dealing with it. More serious than that, the 100-meter target is in fact Shia jihadism. The Iranian regime’s capacity to create their own vision of a caliphate and, unfortunately, the fact that they’ve had almost $200 billion released to them by the prior White House and that they want nuclear weapons on top of it makes Shia jihadism, in my estimation, more serious. And then the last thing, which may surprise you, and I have to thank Steve Bannon for this because he made the scales fall from my eyes. My real concern today is neither of those. We will deal with them. My real concern in the long-term strategic sense is China. China has a plan to displace America as the most important nation in the world. It’s not secret. It’s called the One Belt, One Road strategy, which is timed for the 100th anniversary of the Chinese Revolution in 2049. They wish to displace us economically, militarily, politically. And if we don’t wake up to what they’re doing in terms of the cyber domain, in terms of intellectual property theft, the intimidation of our friends and our allies, then we may just wake up one morning and China will be the dominant global player. Bluey: How would you confront that challenge? Gorka: Well, first things first, I’d do exactly what the president did two months ago. I’d use all the tools at his disposal to begin countering what they’re doing that most people don’t realize is already happening. So the 301 trade investigation to look into what China is actually doing, not just with the theft of U.S. intellectual property but what is called the forced acquisition. If you want to do business as IBM or Google in China, you basically have to hand over your intellectual property to the state of China if you want access to that market. Well, that’s not fair trade. That’s a protectionist attitude that also undermines our businesses because it’s their intellectual property that is being stolen. No. 1 is call them out on what they’re doing, which is wrong. And secondly, do exactly what the president just did in Asia. 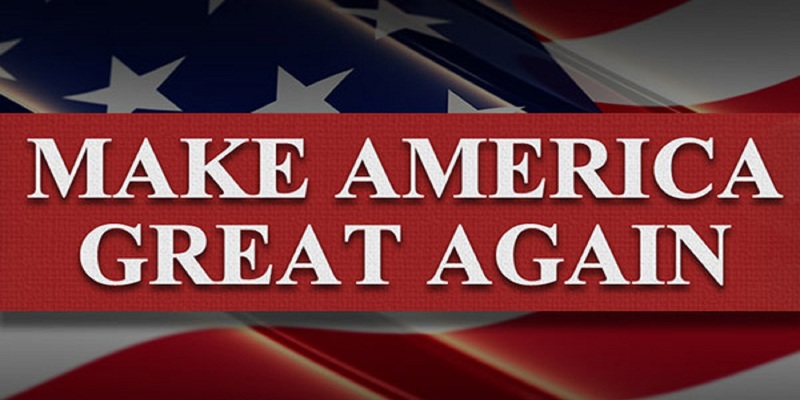 Go and tell our friends, “It’s OK. America is back and we will help you and we’ll stand by you,” and send a clear message that the days of unfettered intimidation of its neighbors by China are over. Bluey: How worried should we be about North Korea? Gorka: North Korea is the most Stalinist regime this planet has ever seen. I mean, Joe Stalin was an amateur by comparison to this regime, the Kim family. It’s an evil dictatorship. It is a prison state, and it has to be understood as such. However, in terms of what we used to call it during the Cold War, the correlation of forces, it’s a flea. Yes, it may have missiles. It may have some nuclear capacity, but compared to America, which is the most powerful nation on God’s earth, they’re not really a strategic threat. They bluster, they intimidate, but as Secretary Mattis and the president have said, if you actually take action against us, we will destroy you. And we’re not talking about the North Korean people. We’re talking about this Stalinist regime. We have to take it seriously because they continually escalate. But at the end of the day, they will be dealt with. Bluey: In October, the United States experienced the 100th terrorist attack or plot on our homeland since 9/11. What’s your outlook on the homegrown terrorist threat that we face here in the United States? Gorka: First things first, we have to do what the president did when he addressed Congress in that joint session. We have to look at the world as it is and not as we wish it to be. We don’t allow political censorship, political correctness to dilute our threat assessment. For eight years under Obama, we weren’t allowed to talk about jihad. We weren’t allowed to talk about the Islamic aspects of the ideology used by the terrorists. That has changed the normal political filter of the threat. Secondly, in addition to putting immense political pressure, immense military pressure on groups like ISIS, we have to learn the lessons from New York. The NYPD after 9/11 became one of the most effective intelligence-gathering agencies in the world, not just in America, in the world. We have to reinstate those human intelligence capabilities, those undercover capabilities that let you find the terrorists before they build the pressure cooker bomb, before they rent that truck to mow down people on a bicycle path, because good counterterrorism is preventative. It’s not reactionary. There is a plan and the president has begun to follow it. Bluey: What about the Diversity Visa Lottery Program? Do you think that that will come to an end? Gorka: Yes, absolutely. I mean, it’s insanity. The idea that some vague concept of diversity has to be propagated in probably the world’s most diverse nation. Really, I mean, you live here. I mean, isn’t America diverse? We don’t need little government programs to try and help the diversity of Americans. It’s a diverse nation. The idea that we just spin a roulette wheel and if you’re from Chechnya or Kazakhstan you can get a green card and then you can have 60 or 70 people sponsored by that green card holder, that’s a bad “SNL” skit. Bluey: How much of a factor is the border and the wall that the president has talked about both in the campaign and as president to stop terrorist threats? Gorka: It’s perhaps the most important pillar that got this real estate magnate from Queens elected. Remember, this is where it all began, with Jeff Sessions and the commitment to the wall. The fact is this isn’t just about stopping illegal immigrants coming here and taking jobs from Americans or from newly arrived illegal immigrants. It’s a symbolic message about national sovereignty. What the left doesn’t seem to understand is that the Trump phenomenon isn’t an isolated one. It’s linked to other phenomena, like Brexit, and it’s the reassertion—I don’t like the word populism—it’s the reassertion of democracy, representative government in which the government is held accountable and in which the nation has sovereignty again. When you go to bed at night, do you lock your doors? Of course you do. It’s not because you hate your neighbors, but it’s because you want to keep what you love inside safe. America is a home and the border is our front door. So it’s just protecting the house that is America. Bluey: What was it like to work for President Trump in the White House? Gorka: I only became an American five years ago. I mean, this is an amazing nation. Think about it. I literally pinched myself. I would be in and out of the West Wing 40 times, 50 times a day, and it never gets old. It never gets normal. So it was a dream come true. But also, it’s very different from what you expect. If you watch the TV shows and the movies, you think the West Wing is this massive building and the president is going to be walking around it for an hour talking to his aides. You’ve seen it. You’ve seen the West Wing. The West Wing is two corridors. I mean, it takes three minutes to walk through the West Wing. In real life you get a different perspective, but working for the president, being in the Oval Office for big decisions like the decertification of the Iran deal, it’s a dream. Bluey: What’s the media’s biggest misperception about you? Gorka: I wouldn’t know where to begin. I had one journalist—one journalist—write 45 attack pieces on me in just a matter of two months. They attacked my wife, my dead mother, my teenage son. I’m so puzzled by the hatred people have for somebody they don’t know. And the way in which people will believe absolute fake news. So the accusations made against me of racism, proto-fascist, neo-fascist tendencies. My father, as a young boy at the age of 13, escorted his fellow schoolmates to school in Budapest during the German occupation because his fellow schoolmates were forced to wear the yellow Star of David as Jews. And my father, as a Catholic young 14-year-old, protected them from getting beaten up or spat on by the German forces occupying Budapest. And for them to then accuse me of having some kind of extreme right-wing tendency … you don’t get to call yourself a journalist and lie that badly, but it tells you the state of journalism in America today. But I think that’s going to change. Bluey: As a contributor to Fox News, you’re not going to have the opportunity to appear on MSNBC or CNN. What are you going to miss most? Gorka: I have to say, this is my dirty little secret. I loved going on CNN and MSNBC because but whether it’s Chris Cuomo, whether it’s Jake Tapper, they always came to a gun fight with a knife, and it was just too easy. I mean, clearly they’ve been given talking points. And if you actually got into a conversation and asked them hard questions, they were stymied. If it wasn’t in the script and if it hadn’t been written about in The New York Times or The Washington Post, it didn’t exist. So I will miss going on those shows to just slightly poke at their bubble. But I’m writing for The Hill. I’ll be giving lectures here at Heritage and maybe we can shake their world a little bit. Bluey: It seems that no day goes by where some of those big players in the media aren’t obsessed about what the president is tweeting. What’s your take on his personal tweets? Why? Because it’s thanks to his Twitter feed and the 43 million followers he has today that he is the president. He is a master of social media. Whether it’s at 3 a.m. or whether it’s over Thanksgiving holiday, he knows what buttons the press. The bottom line is he’s broken the false monopoly that the left-wing media thought they had on their version of the truth. The most wonderful thing about the president is he just doesn’t care what The New York Times thinks about him. He doesn’t care what CNN thinks about him. And that’s how we can cut the heart of the matter. So God bless him and his Twitter feed.